Home » Daylighting » Storm Season is here! Are your skylights ready? Are your skylights ready to handle what Mother Nature may throw at them? When was the last time you inspected your skylights? How about your clients? 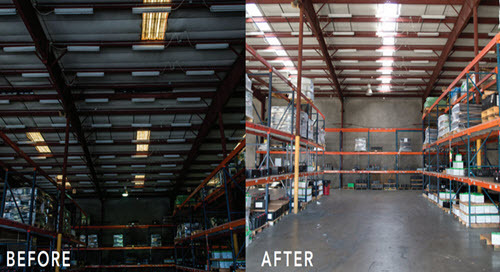 Finding water-damaged merchandise in your warehouse or retail store due to old, leaky skylights will be too late -- and costly!! Being prepared is Step 1. Know what damage to look for on an existing skylight. Some signs of damage include cracks, leaking and/or excess condensation within or around the skylight. Should you spot any of these signs, you need to replace your skylights! Step 2 is to select a quality skylight to fit your application – make sure it is customized to the region’s weather. The most ideal choice for skylight replacement in storm-prone areas is our ClearArmour® polycarbonate skylight that is resistant to Class 4 hail (2” size hail). Sunoptics® skylights feature all-aluminum frames with condensation gutters, as well as thermal breaks to provide worry-free leak protection. And if that isn’t enough, Sunoptics® SignatureTM Series skylights can be HVHZ certified for hurricane zones! No matter you or your customer’s skylight needs, Sunoptics® offers a wide variety of products that are ideal for replacement projects, consisting of standard sizes, custom-sizing options and types of materials (acrylic and polycarbonate) to help protect against storm damage. Questions? Contact us at SunOpticsInsideSales@AcuityBrands.com or 800.289.4700 to learn more about what Sunoptics® products we have available to best support you with your skylight needs. Let the Sunshine In... Replace Those Dirty Fiberglass Panels! Daylighting’s quality fosters a number of human benefits, among them: improved productivity, support for the body’s natural circadian rhythms, and decreased absenteeism. Grab a cup of coffee and enjoy this video that covers the trends, terms, regulations, and benefits of sustainable daylighting solutions. With EZY Curb from Sunoptics, there’s no longer any excuse for metal-roof buildings to maintain inefficient, poor-performing fiberglass panels. Not when (near) perfection is an option. Daylighting uses skylights combined with LED luminaires and lighting controls to provide abundant natural light and reducing energy loads reducing electric lighting costs by 80 percent.